KPMG LLP, the U.S. 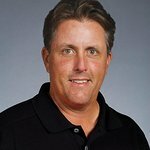 Audit, Tax and Advisory firm, today announced that it has renewed the sponsorship of 5-time Major golf champion Phil Mickelson. The global sponsorship, which originally began in 2008, will keep Mickelson in a KPMG branded hat on the PGA Tour through 2016. In addition, KPMG and Mickelson will expand their joint efforts to combat youth illiteracy through KPMG’s Family for Literacy and “Blue for Books” initiatives. KPMG’s “Blue for Books” program in March 2012. The program encourages golf fans to purchase Mickelson’s authentic blue KPMG Tour hat at PhilsBlueHat.com. KPMG donates 100% of the net proceeds to First Book, which provides three new books to children in need for each hat sold. Through the combined efforts of the Blue for Books program, more than 120,000 books have been donated to date. The Farmers Insurance Open at Torrey Pines marks the first 2014 PGA Tour tournament where Phil’s Blue Hat will be available on-site at the golf course for fans to purchase. Other planned tournaments are the Waste Management Phoenix Open and The Barclays in Ridgewood, NJ. In June 2013, KPMG extended the program onto the LPGA Tour with KPMG brand ambassador Stacy Lewis. In addition, KPMG will continue to donate 5,000 books to a local school and refurbish its library every time Mickelson or Lewis wins a tournament. Mickelson adds, "I am very proud of the relationship I’ve shared with KPMG over the last six years and really excited about renewing it now. Improving education opportunities is a top priority for Amy and me, so it’s been an honor to be a part of KPMG’s Family for Literacy program.